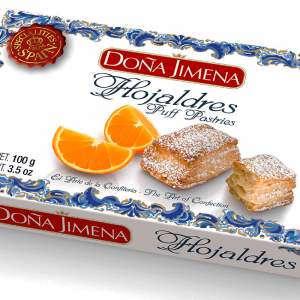 Hojaldres became an iconic Spanish Christmas treat - but are now sold year round. 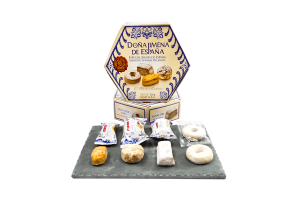 This box from the renowned 'Dona Jimena' brand contains four small light and flaky puff pastry squares, lightly dusted with icing sugar. 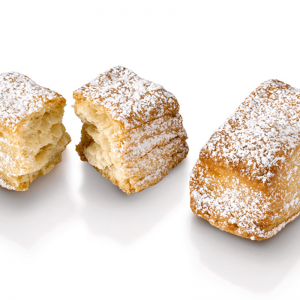 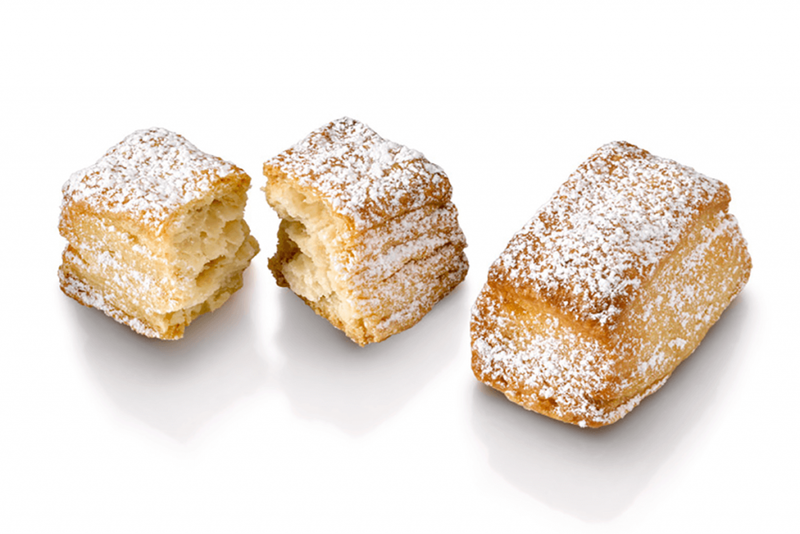 Hojaldres are made by stacking layers of pastry before baking to create a delicate crunch in every bite! Read about our producer here.